Traditional and classic, these earrings are perfect for any vintage inspired bride. 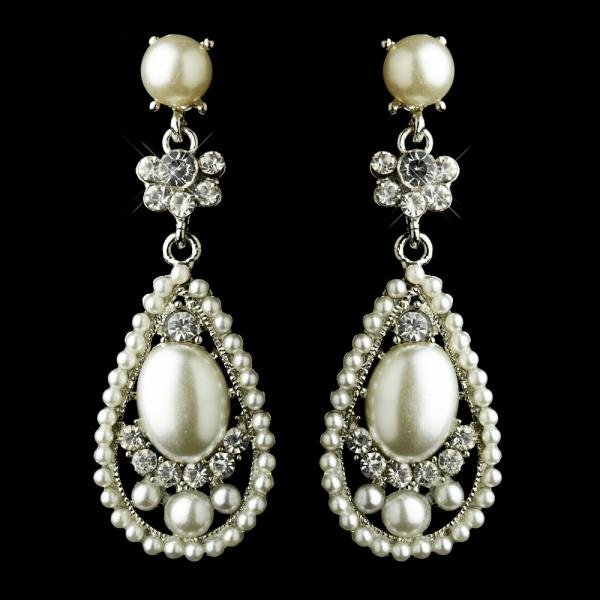 The silver plating is made up into a breathtaking tear drop design that consists of ivory pearls and clear cut encrusted rhinestones. These earrings are sure to add a special touch to your wedding day!